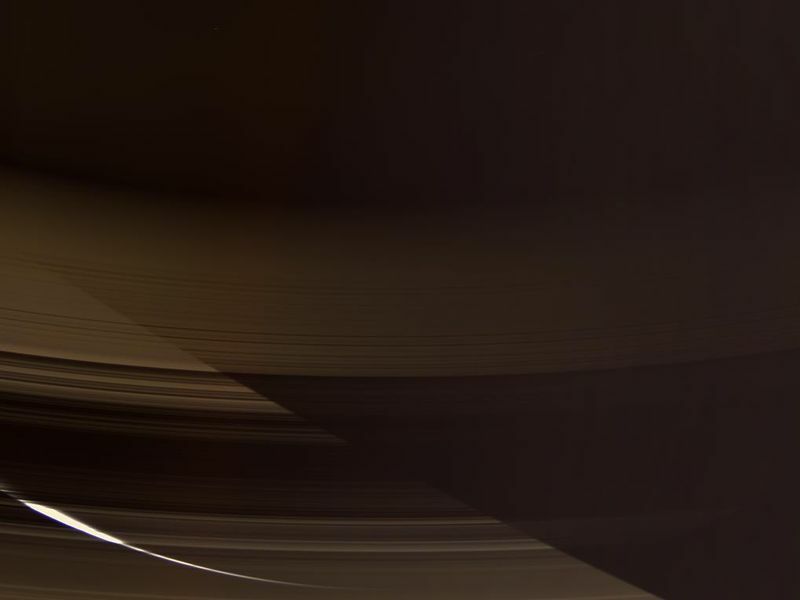 The Cassini spacecraft gazes down through the dark side of Saturn's rings toward the softly glowing planet. 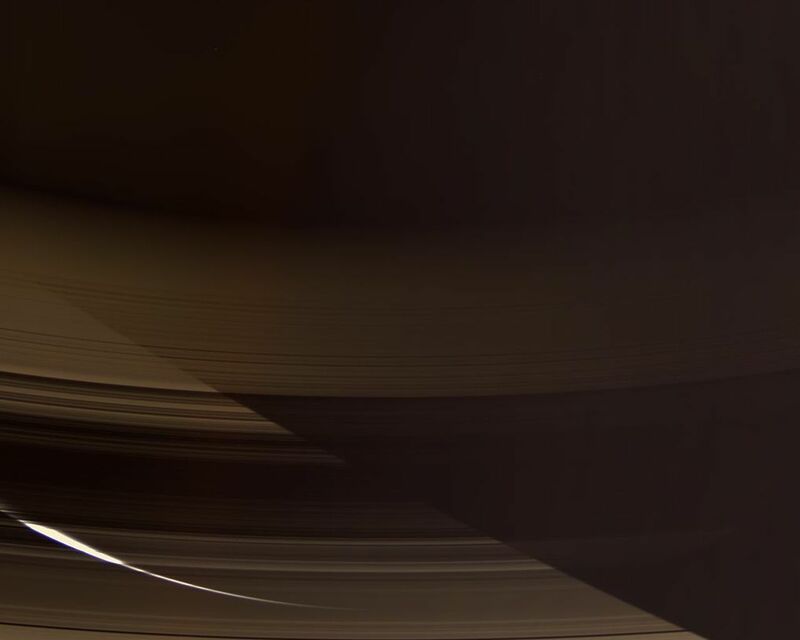 The night side southern hemisphere is lit by sunlight reflecting off the opposite side of the rings. The planet's shadow slices diagonally across the scene. This view was acquired from about 23 degrees above the ringplane. 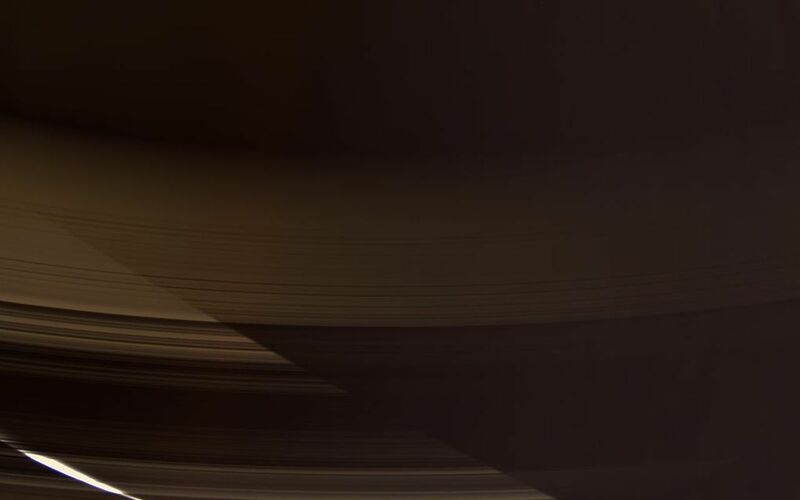 The sliver of Saturn's sunlit crescent is partly overexposed as seen through the Cassini Division, a region where there is less material to block or scatter incoming light. Images taken using red, green and blue spectral filters were combined to create this natural color view. 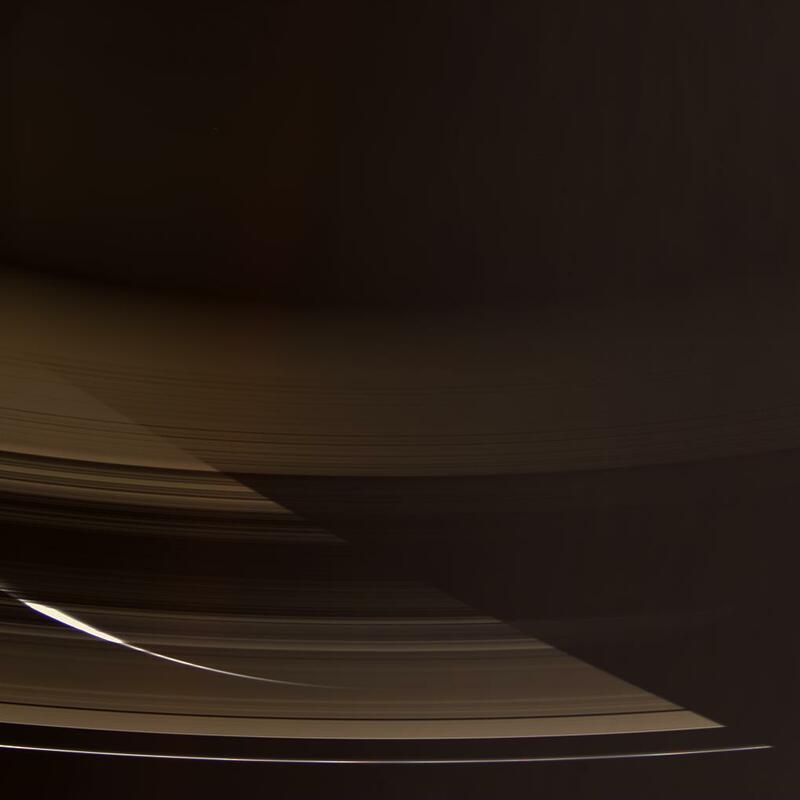 The images were taken with the Cassini spacecraft wide-angle camera on Sept. 11, 2006 at a distance of approximately 1.1 million kilometers (700,000 miles) from Saturn and at a Sun-Saturn-spacecraft, or phase, angle of 151 degrees. Image scale is about 60 kilometers (37 miles) per pixel.